border and a delicious little brass heart. It is updated on a weekly basis so keep an eye out! ah! i am tryig to pick up japanese and i knew it meant love without looking!! Wow i really love it. So beautiful! Fabulous work! 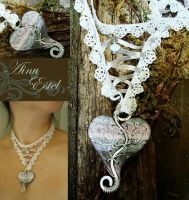 I featured your piece in my article Jewelry Feature: Have a Heart, be my Valentine as a part of the holiday round-up by the #Jewelry-Makers-Guild. this is amazing ive been looking for it on the website but i cant seem to find it anywhere! Omg I it so much! this is so beautifully done! is the lighter part in the middle actually that way in the piece or is it just the lighting? Because I'm definitely liking the gradient effect. I'd super-like to buy one...if I had money. But I'll keep it in mind! awww thank you so much!!!! Wow, amazing. So, if you were selling these...how much would they be? ...omg, you seriously just made this a lot harder! WOW! you're work is amazing! *^_^* awwwwwww thank you so much!!!! ^_^ i mean it! it's awesome! P.S. 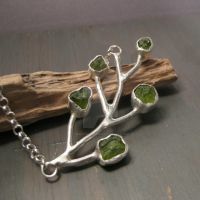 psssst, theres no "d" in "aventurine"
Nice, just came back and got a DD! Excellent! thanks hun! its good to be back! hahahaha thank you very much!!! Wow, that's gorgeous! The craftsmanship is just... amazing! Stellar! I... I want to buy it. thank you so much hun!!! no problem! Your skill are amazing!